This entry was posted on Wednesday, October 16th, 2013 at 5:40 am and is filed under Photography. You can follow any responses to this entry through the RSS 2.0 feed. You can leave a response, or trackback from your own site. 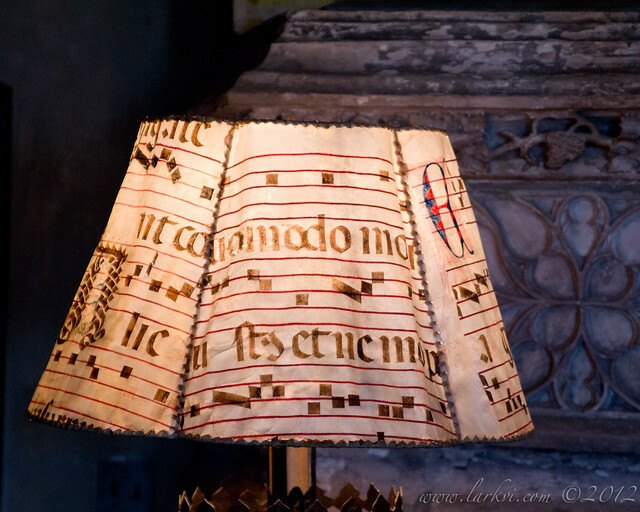 I have been wanting to see these lampshades made from manuscripts for quite some time. On a recent visit to my parents in California, I finally had the chance to go down to San Simeon and tour Hearst Castle, including viewing the lampshades.